Natalie is a highly trained Physiotherapist and Acupuncturist (Chinese Medicine Practitioner) with over 20 years of clinical experience. 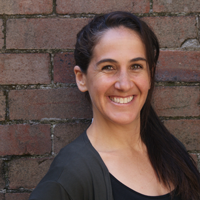 As a Physiotherapist, Natalie has also worked at the Prince of Wales Hospital in Randwick, NSW as well as the former Prince Henry Hospital, NSW. She has worked as a personal trainer, sports massage therapist, Exercise Rehabilitation Specialist and assistant Physiotherapist for a number of elite sporting teams, including the first grade St George Illawarra Rugby League Team. With a special interest in sport and exercise, she was also a Director of a successful Exercise Rehabilitation Business, which specialised in evidence based exercises for all acute and chronic musculoskeletal injuries. Natalie became interested in Acupuncture very early on in her career. Whilst working with a number of elite sporting teams, she hoped to find another tool for treatment and after completing a one-year acupuncture course through the Australian Physiotherapy Association, Natalie knew that she was destined to follow this path and soon enrolled in a 4-year full time course in Traditional Chinese Medicine (Acupuncture & Herbal Medicine). She now holds an advanced diploma in TCM from the Sydney Institute of Chinese Medicine as well as completing over 600 hours of training in Guangzhou Hospital and Anhui Hospital China. Natalie now combines her Chinese and Western medicine background into her diagnosis and treatments. The combination of physiotherapy, specialised exercise rehabilitation and acupuncture (if and where required) has proved very successful in practice. Natalie’s goal is to empower people to take control of their pain and/or injury or symptoms and to return to function as soon as possible. She has a very caring, compassionate and holistic approach.